I hadn't seen much from the circle Canaria Mint before this year, but now I see art work by Kona all over the place. 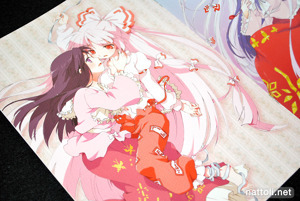 So I finally bought Canaria Mint Illustrations, a collection of Touhou illustration by Kona. 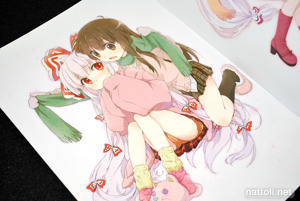 Canaria Mint Illustrations is a B5 sized staple-bound doujinshi, and it's full color. 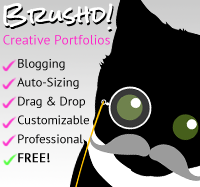 Kona's art style takes on a lot of different styles, from a very gothic-grunge look like the cover art to an adorable colorful animation-ready style. This doujin was released in June 2009, but I'm not really sure if that was at an event. 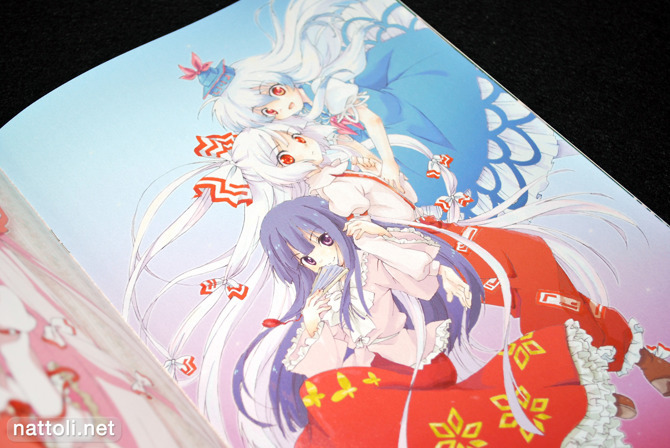 Touhou collections are kind of interesting because you get to see so many different artists' takes on the same characters. 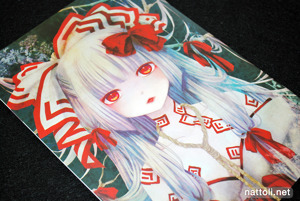 I especially like Kona's take on Fujiwara no Mokou, who on the cover looks creepy, but inside couldn't look any more adorable! 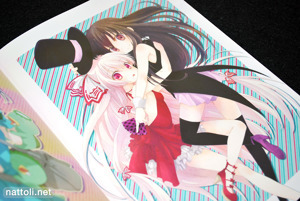 There are six illustrations with the Fujiwara x Kaguya pairing. 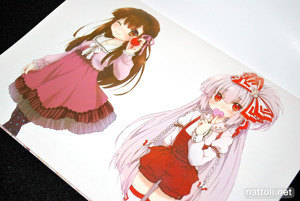 Several other Touhou characters are featured too, but most get more grown up looks. There's a particularly nice one of Hinanawi Tenshi, definitely one of my favorite takes on the character. 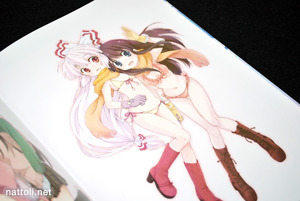 There are a total of 12 illustrations in the book by Kona and one by a guest artist, featuring Yakumo Ran and Yakumo Yukari. At least... I think it's a guest artist because there were no Kona credits for it ^^; Overall, I really like this style, as I'm always biased towards a cleaner anime-styled look. 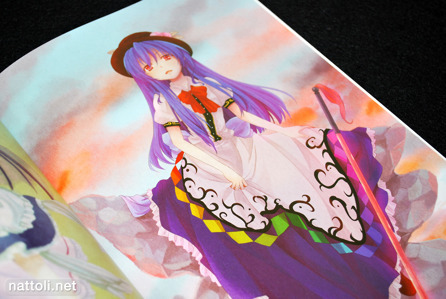 Do you have a favorite Touhou artist?